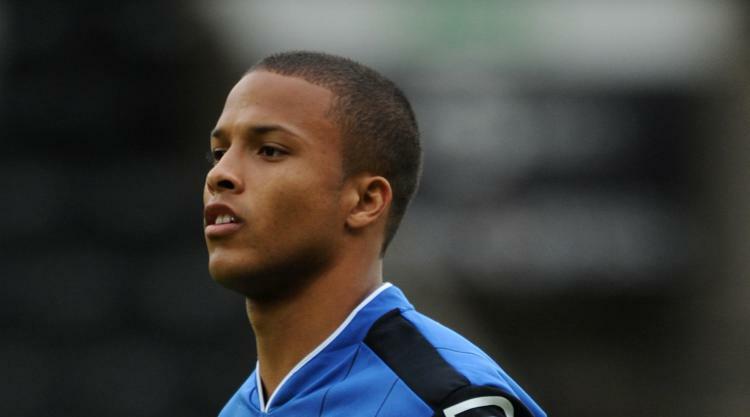 Joe Thompson is keen to return to a football pitch again having successfully fought cancer for a second time, with the Rochdale midfielder's love for the game helping him through the darkest times. It is six weeks since Thompson, 28, revealed he was once again in complete remission from the nodular sclerosis Hodgkin lymphoma which he was originally diagnosed with in 2013. Thompson was back playing two months after announcing he had first beaten the cancer in 2014 and, having recently returned to Dale's training ground for some initial rehabilitation work, has explained how his determination to play again fuelled him in his latest fight. "I'll have a little look at the fixtures in due time and see when I maybe, realistically, can get back," he told Press Association Sport. "That was my carrot at the end of it and that's the one thing you've really got to hone in on when you're going through it - what motivates you? "Mine was family. They were what got me through it. But I think my family know that they don't have Joe without football." Thompson's wife Chantelle and four-year-old daughter Thailula-Lily are the family he speaks of and cites as his biggest inspiration. There is another unofficial family he belongs to too, the one at Spotland, where Keith Hill's squad have been preparing for the new League One campaign. "I kind of felt like my pre-season's been a little bit harder than theirs," Thompson added with a smile. "It's been good. I've needed to get in and around the lads again. If anything (the cancer) tests your sanity and mentality in a way. You do want some sort of normality. "I'd got that normality back at home, my little girl had got used to daddy being back at home and my wife did not have to do as much round-the-clock work with me. "(But) it was good and refreshing to get in and around the lads. I feel they've enjoyed me being back there, the manager's wanted me around. I've been surrounded by my little angels and it was nice to just have lad's chat and banter." In the month after Thompson announced he was cancer-free, both Wolves' Carl Ikeme and Middlesbrough academy player Anthony Renton were confirmed as being diagnosed with leukaemia. Thompson has already visited the former to offer guidance and is keen to spread his story as a source of inspiration to others in the game. "I've thoroughly enjoyed speaking to younger lads at Man City and Sheffield Wednesday, and Wigan have invited me in," he explained. "I do feel that's maybe something I have to do after football. It will also mean I stay in football still doing good work and giving people hope in a way. It's been quite therapeutic. "I've spoken to people from all walks of life because it does affect everybody, unfortunately it's affected footballers and that has come to light in the last few months. "Stiliyan Petrov, Alan Stubbs, no one is invincible . I think fans maybe put them (footballers) on a pedestal and think they are unstoppable and unbreakable but they're not. Cancer affects every family unfortunately . Everyone can relate to it in different ways. "Football's massively helped me out and I'm truly grateful and appreciative for all the support I've had."